Well done to everyone who has raced the last few weeks, some great results. Andrea Walker and Kelly Winnard ran the Budapest Half Marathon, Kelly with a time of 1:49 and Andrea in 2:06 achieving a club standard. 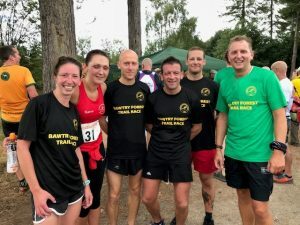 Latest GP race was Moss Valley Madness which saw Hannah Sharpe finish 3rd Female with a time of 53:41 followed by Andrea Walker 58:25 (club standard), Katy Taylor 60:31, Graham Sheen 68:48, Jim McIntosh 70:53. Stanage Struggle fell race and Jordan Street finished 8th in 44:21 and Michelle Needham 56:32. 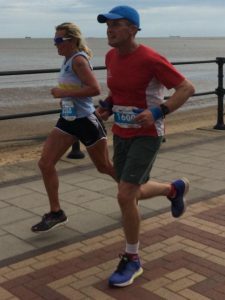 Humber Coastal Half Marathon Richard Hind ran 1:31:29 PB and Silver standard, Steve Tebb 1:51:32, Lindsay Baker 1:58:44 Bronze standard, Lynn Hazelton 2:37:22. 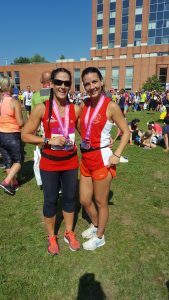 Jane Tupling ran the 5k in 30:59. John Proffitt set a new 75-79 age category record at Sherwood Pines parkrun knocking off 2mins 32 seconds with a time of 27:20. Paul Summerly ran 30:42. Gareth Lowe took 1st place at the Mansfield 10k in 33:57. 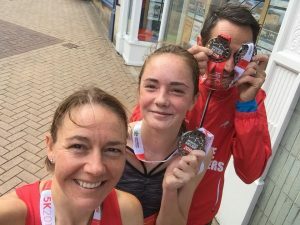 Also running the 5k Gareth ran 16:39, Freya Lowe ran a new PB in the 5k with a time of 25:51 beating mum Louise who ran 25.55. Neil Inns and Gillian Carter ran the 1st KitzAlp Trail Run in Kirchberg, Austria, including a 700m climb followed by 700m sharp decent. Neil ran 2:01:16 and Gillian 2:19:22. Bawtry Forest Trail race and Giles Searby ran 59:23, Dan Harpham 47:52.